Turkish President Recep Tayyip Erdoğan's spokesperson said on Aug. 22 remarks by the U.S. National Security Adviser regarding Turkey's economic situation were proof that the U.S. administration is targeting a NATO ally as part of an economic war. In a written statement responding to an interview which John Bolton gave to Reuters, Erdoğan spokesperson İbrahim Kalın said the U.S. administration's most recent policies were at odds with the fundamental principles and values of the NATO alliance. 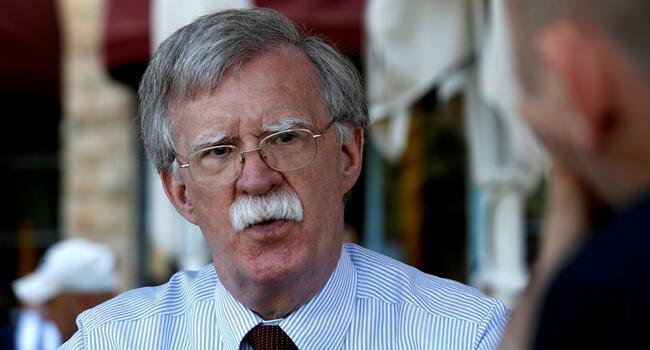 Bolton had said during a visit to Israel he was skeptical about the pledge of $15 billion of investment support for Turkey by Qatar's Emir, which was "utterly insufficient to have an impact on Turkey's economy". "His statement is proof that the Trump administration is targeting a NATO ally as part of an economic war," Kalın said. "The Trump administration has ... established that it intends to use trade, tariffs and sanctions to start a global trade war," he said, pointing to similar disputes with Mexico, Canada, Europe and China. As relations soured, Trump doubled tariffs on metal imports from Turkey, prompting Ankara to raise tariffs on U.S. car, alcohol and tobacco imports by the same amount. "The U.S. administration's most recent policies are at odds with the fundamental principles and values of the NATO alliance," he added.